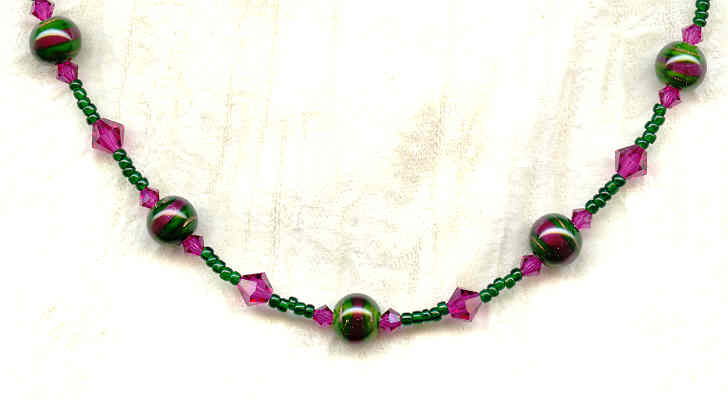 A striking colour combination, these gorgeous vintage West German forest green and fuchsia lampwork beads are simply mesmerizing! Each is individually made over an open flame, so no two are exactly alike. 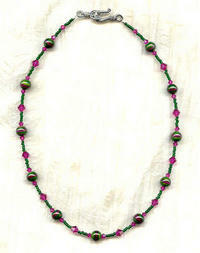 All have swirls of glittery copper and fuchsia against a forest green background, and all are about 8mm in size. 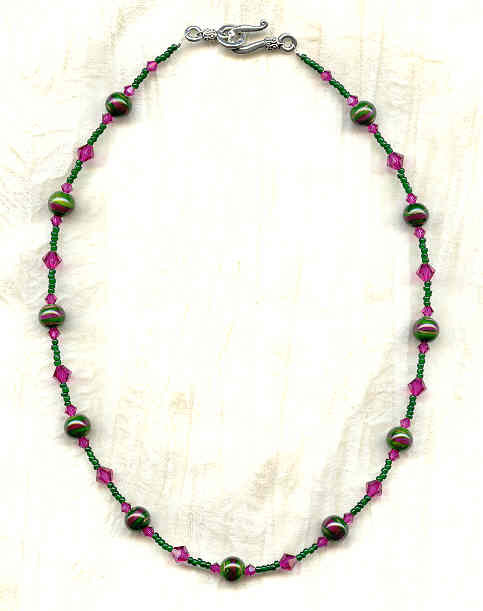 I've teamed them up with matching Swarovski crystal 4mm and 6mm bicones and seed beads to make a 17-1/2" strand that closes with an art deco pewter hook set. This delicious bit of eye-candy is brought to you courtesy of SPARKLE PLENTY, of course.